KARATE for teenagers & adults is an ideal activity for for building self-confidence, fitness, flexibility, discipline, coordination, and courtesy while learning basic self-defence skills it is a full body exercise regime – “to enjoy the great health – you must exercise “it also aids as a stress release. Most teenagers enjoy participating in a variety of activities. This willingness to try new activities and meet new people builds their self-confidence and develops their social skills, by the time they become teenagers many give their activities up and become unenthusiastic to try new ones. One reason for this is the onset of youth, which can quickly diminish a teenager’s self-confidence. Being a teenager comes with just being awkward in most social settings – at the dojo/school they do not have to compare themselves with anybody else they can be just themselves – their competitive nature will shine through, learning new skills like being an assistant teacher/ Sempai or role model to younger kids only improves their self-worth as human being…. Karate has many benefits for adults both women and men self-confidence, discipline, and development – you can do a short self-defence course, however, the skills unless very very basic will not stand up in a real-life situation because of the intensity of the moment however KARATE is a unpretentious fighting art as in a real-life situation you either you fight(karate techniques are not complicated and do not require strength but accuracy, most basic techniques taught are simple and proven as effective and decisive, and practiced each week until they become reactive to an attack or in some type of counter Once this automatic instinctive skill is reached, more techniques are added to one’s repertoire) or flight (run, best option). Seniors (Teens &Adults) all start at a White belt and work up through different colours (Red, Yellow, Orange, Green, Blue, Brown, and Black belt). The personal gratification of years of hard work pay off when one attempts Black belt 1st Dan knowing that a “A Black belt is only a White belt that did give up” and there are many challenges’ on the journey to becoming a black belt. Time restraints, being a beginner, not good enough, need to get fit first, not as young as I once was and tomorrow instead of now, so be your own motivation and start the KARATE journey today. Try a Free Introduction Class. 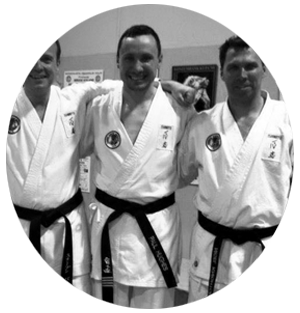 Book a free lesson at Frankston's #1 Karate school today. Fitness, Discipline, Dedication, Determination, Desire, Self-Confidence, Self Esteem, Self Development, Self-Defence & Leadership Program. Teaching karate to teens helps parallel life and is an important time for when teenagers becoming adults. Each student has the opportunity to compete at local, state, national & international Level of Sport Karate. Book your free trial lesson.